Erin has been studying and performing improv since December 2011. Erin started at Pan Theater in Oakland (short and long form) and has performed with Leela in San Francisco (long form). She is a workshop junkie and has taken numerous workshops with David Razowsky, Rachel Hamilton, Jamie Moyer and Marcus Sams. Erin has also studied with Katie Nahnsen, Celeste Pechous, Craig Cackowski, Carla Cackowski, Susan Messing, Bob Dassie, Jason Pardo, Brian James O'Connell, Kevin Mullaney, Nick Armstrong, Karen Graci, Bill Binder, Eric Hunicutt, Colleen Doyle, Jason Shotts, Amey Goerlich, Ithamar Enriquez and Jill Bernard. She has taken level classes at Leela and BATS. Erin performed with The Nuancers at Femprovisor Fest (San Francisco) in April 2014 and with the duo Off One Letter at the 2015 & 2016 San Francisco Improv Festival, California Comedy Festival (June 2016), Hollywood Improv Festival (Jan 2017) and San Diego Improv Festival (Feb 2017). She has performed at Femprovisor Fest (April 2016), San Jose Improv Fest (2016, 2017, 2018), Improv Fest Ireland (November 2016), San Francisco Improv Fest (2017) and San Diego Improv Fest (2018) with FOX. She has performed with Type A at Femprovisor Fest (2018). Erin loves that improv has penetrated every part of her life and has made her more present, less stressed and a better listener. Erin is currently performing with Horrible People and Type A.
Erin has previously performed with That One Troupe, Off One Letter, DASH and Awkward Face. Erin has been a Producer for Femprovisor Fest (all female improv fest, 2015-2017) and on the board of and 2018 Artistic Director of the San Francisco Improv Festival as well as an associate producer for the West Coast Musical Improv Festival (2017). She is also on the Board of Directors for BATS in San Francisco. 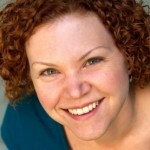 Erin occasionally teaches improv at Moment Improv Theatre and previously taught with American Improv Theater in San Jose.